Riotball is a surprisingly good entry in a market that is saturated with Breakout clones. What impresses me about this game is that it's chock-full of features that most of the other titles in the same genre do not have. Some of the power-ups are pretty innovative. Collecting the wrong power-up can turn off the lights or cause the playing area to wrap around, e.g. Asteroids style. Bonuses come in the form of gems and coins. Collecting gems will unlock bonus and boss levels, while coins can be bounced of the paddle for a multiplied bonus score. 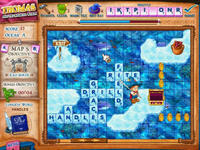 In Thomas and the Magical Words, your quest is to help the protagonist escape from an unfortunate situation by creating chains of words to reach the exit point of each level. Some basic word game rules apply. The storyline is well-written, and there's a dictionary in-game that you can access at any time. One of the best word games I've played this year. If the game is running slowly on Internet Explorer, try this. Click on 'Tools/Extras', 'Internet Options', 'Temporary Internet Files', 'Settings', then check 'Automatic' to prevent images from being reloaded after every click. 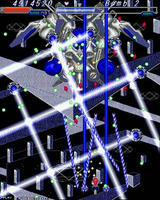 The Crazy Ball demo features four levels of Marble Madness style of gameplay, where you use either the keyboard or mouse to control the movement of a ball from one end of the field to the other. Graphics are pretty impressive for an indie 3D action puzzler. Aquatic Sun is not really a game but more of an exploration tool that simulates an underwater environment and the rich sealife that inhabits it. FPS controls are used for movement (W, A, S, D keys and the mouse) but that's about it. No harpoons or such. The music is very soothing as well. Ocular Ink could possibly be one of the most talked about entries in this year's IGF Competition. The protagonist is a paintbrush-wielding eyeball on a quest to rid it's town of evil forces. Of course, it's no ordinary brush. The magical item can be used to fling all sorts of things at enemies to inflict damage. You'll have companions travelling with you on your journey as well, lending a helping hand or two in combat. 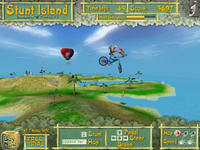 Stunt Island plays a lot like the famous extreme skateboarding series, only this time the tricks are performed using a bicycle. Controls are not as complicated as other games from the same genre, although there are enough trick variations to hold your interest for a while. 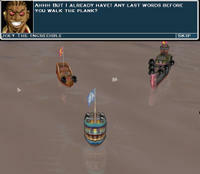 To celebrate Talk Like a Pirate Day, we bring news of a game that puts the fun back into captaining a ship and sailing the high seas. Sea of Chaos attempts to recreate hectic ship battles using 3D graphics, coupled with a good control scheme and upgradable weapons for that slight advantage over your opponents. There's even a storyline and multiplayer as well. Love the pirate humor! Parity Shot is another great shooter from Japan that features two characters to choose from, power-ups, and plenty of collectibles in the form of bonuses. This game is pretty amazing in the graphics department, especially the water and reflection effects in stage three. Pick up an option to boost your firepower and hold down the secondary shot button to initiate rapid fire. Both characters have different sets of special abilities. Parity can lock on to targets and fire homing shots if you hold down the secondary button, then use the primary shot button. Xlala has an ordinary light saber. Just kidding about the ordinary part. 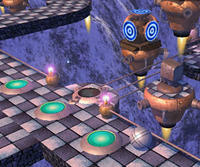 Trial version showcases the first three levels only. Leave it to the Japanese to name their games. Jabberwock may sound strange but the gameplay smacks of class. The game is basically a combination of all the good stuff that made Smash TV and Zelda series fun. Jabberwock puts you in control of a character trapped in a labyrinth full of strange creatures, armed with some spells that will drain your mana when used. Download link can be found at the bottom of the page. 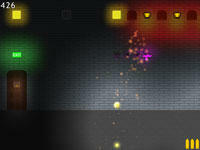 Speed is a nifty little game where the objective is to click on the numbers in sequence in the shortest time possible. The game is pretty short and there's only five levels, but the concept is well-executed and fun to play for a while. ArkLight is an interesting take on the popular paddle game genre that throws shooter elements into the mix. 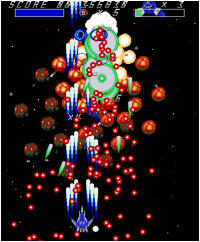 Controls are easy to learn, and your ship is able to release multiple balls into play. My New Filing Technique... is an interesting little flash game that has you duking it out with a filing cabinet. 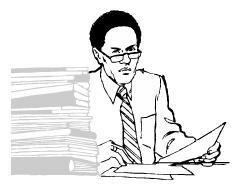 You would expect the exercise to be boring but notes written on the files are peppered with funny little anecdotes about life in the office, amongst other stuff. Features three levels of filing mayhem. 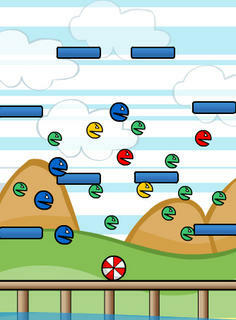 In Kill the Pacman, your objective is to stomp on the number of Pacmans as dictated at the start of each stage. Ten levels only. Short but addictive. Block is a great Arkanoid clone from Japan that introduces some new ideas to the paddle game genre. 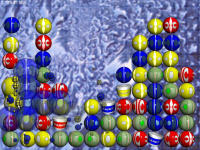 You're given ten balls in each stage that can be released into play by right-clicking your mouse. Gravity affects the trajectory of the balls, so they don't really travel in a straight line. 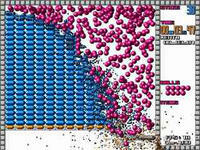 Some crazy power ups can be collected, such as having unlimited balls at your disposal that can be released, causing hundreds of balls to be on screen at the same time. 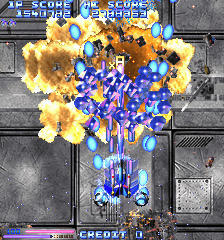 Zen-Ichi is a Japanese shooter that features three ships to choose from, each with a different set of weapon configuration. Enemies will leave behind collectibles serving as bonuses when blown away. The game is limited to a ten minute trial. 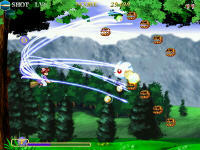 Guardian of Paradise is the latest effort by E. Hashimoto, creator of Akuji the Demon and several other freeware titles. Guide Tela as he embarks on a quest to find a cure for his ill sister. To leave the village, talk to the guards. Then find the elder and get his permission to depart. Tobi Divine is one of those Japanese shooters that has everything but stands out especially in the graphics department. Using really good 2D sprites to complement the R-Type weapon system, the only problem with the demo is that it only showcases one level. 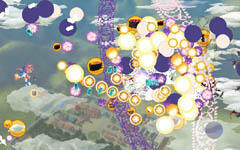 You could watch a video preview of other levels which is available on the site. Wrecking Ball puts you in control of a heavy ball on an elastic string. 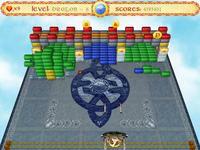 You must use the said object to break all bricks in each level. Simple to pick up yet requires a considerable amount of dexterity to get past latter levels. Storm Calibur: Counter Attack of Verrier has one of the best shmup gameplay system which is easy to pick up but requires some skill to master and use effectively. With three weapon types to choose from, the highlight of the game is your ship's ability to launch counterattack shots at enemies when it grazes enemy bullets. May have some problems running it in fullscreen. I would suggest trying out windowed mode first. Storm Calibur Revival 99 is the prequel of SC: Counter Attack of Verrier, and it sports just about all the options that you would find in it's next installment. The weapon selection menu, counterattack shots, down to it's sprites and gameplay system are just about the same. Encountered some problems running this game in fullscreen, so I would recommend trying out windowed mode first. Retro at it's coolest! 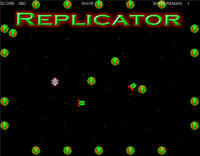 Replicator has you in control of a ship, clearing nests of eggs in each stage as the bugs attempt to replicate and overwhelm you. 27 levels of gaming goodness done entirely using DHTML. 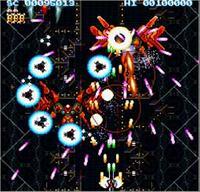 SyuSo-Gyoku plays a lot like a shmup from the SNES era, due to it's extensive use of 16-bit graphics and sprites. 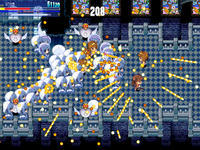 The game does offer a myriad of weapon types, good framerate and controls, power-ups as well as end level bosses. A decent shooter to try out if you're willing to forgive the slightly dated graphics. 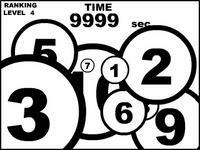 Tontie ver.1 is a variation of the Whac-a-Mole games where the numeric keypad is assigned as controls. To hit a particular spot just press the key that corresponds to it. Starts off simple but gets frantic as soon as more elements are introduced in the game. From EYEZMAZE, developer of Grow and Grow RPG. A good remake of the original Puzzle Bobble game, this version is nearly flawless and runs on any browser that supports Flash. 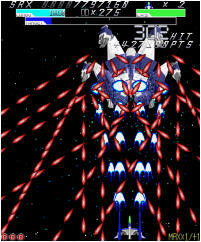 Rinne Tensho is a shmup from Japan that uses cute sprites instead of common enemy ship designs seen in other shooters. Two shot types are available by either tapping or depressing the shoot button. Not the most impressive but plays well enough and does offer a decent challenge. Drum Lab is a fun little Flash tool that can actually be used to mix decent tracks! The Drum Loop option can be used to create loops. Just drag an instrument onto one of the empty squares to start making your drum loop. Click on the plus sign to create another loop. Select the sequencer tab to add loops to your track. If your track is long enough, you can save it for other users to listen to. 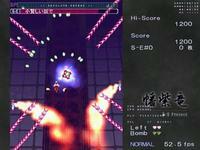 Z-LOCK is another surprisingly good freeware shooter from Japan. Enemy ships will attempt to get a lock on your position before shooting at your craft, giving you ample opportunities to dodge bullet patterns. Great use of minimal graphics, cool effects and a rocking soundtrack rounds up the package. Feel like breaking some light and fixtures? Here's a fun way to do it without hurting yourself in the process. 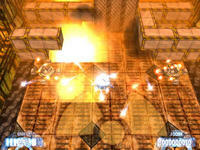 Light Warrior is basically a shooting gallery of sorts, with lights as your primary targets. Aiming and shooting is done using the mouse. Starts off slow but gets frantic really quickly after level 3. Developed in two days. Sunny Ball is another Arkanoid clone that uses bright and colorful images imprinted on bricks in an attempt to distance itself from it's competition. Succeeding marginally, gameplay is what you would expect out of a title that features paddles and bricks. 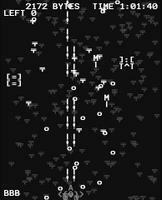 Vax-11 is probably the best example of how a shmup from the Pong era would look like. Done entirely using ASCII, it has everything you'd expect to see in a Japanese freeware shooter. Power-ups, bombs, good frame rates, end level bosses, they're all there. I love the description for Hold Off Red. Remake of a crappy old minigame I made a long time ago. Fight off the woes for as long as you can in a hopeless battle for survival. It might be hopeless, but it sure ain't crappy. You're in control of a heart stuck in the middle of the screen, trying to fend off waves after waves of enemies armed with only a laser. Your heart gains experience from banishing woes, which can be used to level up and gives you a fighting chance against impossible odds. Add in a neat combo system as well as some unlockables which can be used during gameplay and you have a winner. Simple in design but really fun nonetheless. 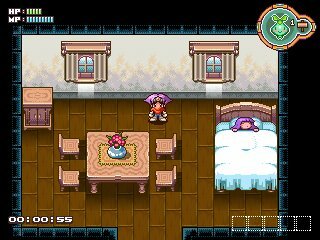 Sispri Gauntlet is basically a remake of the old classic with super deformed characters. The Z and X keys are used to shoot and locking your aim in one direction. Expect to dodge lots of bullets in this one. Demo version only. Banshiryuu is a two level demo shooter that features four difficulty levels and several weapon configurations that you can choose from the selection menu. The objective of Cubeoban is to slide colored blocks into their places, which are marked by tiny little colored dots. Features a very useful password feature to skip levels that you had completed successfully. A game by Kenta Cho that isn't a shooter! The objective of Wok is to catch balls using a container and toss them to the edge of the screen. Will probably entertain for a few minutes. Works on Linux as well. Maze is a flash based puzzler from Japan that is simple in design yet fun to play for an afternoon or two. 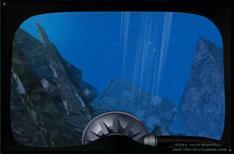 The objective of the game is to find the exit within a given time limit. Special items can be collected to help you along the way. Picking up a map will show you the entire level, clocks add an extra ten seconds to the timer and hammers can be used to break down walls. Alveolata Noctiluca Neonlight is not really a game but more of an experiment in sight and sound. Great use of graphics to accompany some ambient noise makes it a very interesting tool that showcases Macoto Yanagisawa's creativity. MMORPGs were never this fun! Although it's quite debatable that Ultima Online: Age of Shooters plays anything like a game from that genre. 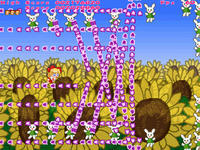 The game itself is a flash based freeware from Japan with a twist. 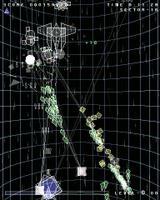 UO sprites were used to create a vertical scrolling shooter with collectible power-ups, end level bosses and a myriad of nondescript enemies from Richard Garriott's creation. If you've ever heard of Collapse or Clickomania, then you would know what to do in Xolox. The game has three game modes. Clear the playing field by clicking on balls. All connecting balls of the same color will be removed as well. 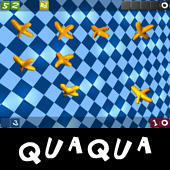 QuaQua is a memory puzzle game that features 60 levels of good 3D graphics. Good concept and design marred by simplistic gameplay. 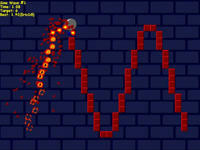 Musikapa is another Arkanoid clone that features decent graphics and audio. Has some kind of story involving Celtic mythology. Nothing special about this one although to it's credit, the game does have good production. Just not enough creativity to make it stand out, considering that there are lots of free paddle games out there. Another excellent freeware shmup from Japan, Cho Ren Sha 68K will definitely please fans of the genre with it's frantic old school gameplay. Everything you'd expect to see in a shooter is there. The high score table actually uses classic arcade shmup names! 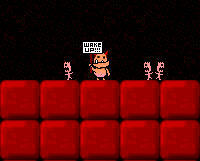 Originally for the Mac, Bill the Demon is a decent little platformer that has been ported to Flash. In it, you play a voracious little demon out to get the Devil's autograph, in order to earn the respect he deserves from his colleagues. Decent excuse to run around screaming and eating tiny little people, I say.